The countdown for the release of 2.0 has begun and undoubtedly, it is the biggest film of Indian Cinema. Starring Rajinikanth and Akshay Kumar in lead, the Shankar Directorial has been mounted on a budget of $75 Million (Rs 500 crore). With just 7 days left for the release of the film, the screen booking procedure has already begun. The distributors at the Hindi Belt (AA Films) are targeting a release on approximately 4000 screens (2D + 3D) and 17 IMAX 3D screens. A few more screens might be added as the film nears its release, as the booking process is still on progress. The film was recently cleared by the censor board with U/A Certificate without any visual cuts. The approved runtime of 2.0 is 2 Hour and 29 Minutes (149 Minutes) and the ones who have seen some glimpse of the film can’t stop raving about the path-breaking visuals, especially towards the climax. Taking into consideration the screen count and the runtime, 2.0 will be targeting nearly 20,000 – 21,000 shows in the Hindi Belt. The lack of competition at the Box-Office will further help 2.0 in fetching more number of shows, as there won’t be any screen sharing clause at major multiplex chains in India. Basically, the distributors, AA Films will go full throttle with the release of 2.0 and make optimum utilisation of the available screen space. The advance booking for 2.0 will open all across on Sunday, 25th November 2018, however some multiplex chains might open a day earlier. All the negotiations in terms of profit sharing as well as show count are well in place because of which there would be no delay in opening the advance booking. The expectations are sky high and the trade is hopeful that the film will be off to a flying start at the Box Office. An excellent opening in the range of Rs 23 to 26 crore is on cards, and this is the number which we have predicted in our segment, Hype Meter. However, if the film opens above the predicted number, it would qualify as a bumper opener. Sunil Grover’s Show Kanpur Waale Khurana Set For A Grand Premiere With THESE Two Celebrities! The screen count in the Hindi Belt is higher than Baahubali 2, which released on nearly 3900 screens. While 2.0 would have definitely got a massive release in the Hindi Belt owing to the power of the franchise and the pan-India vibe that the film carries, we can say this with utmost confidence that it is the Akshay Kumar factor that has helped it fetch a wider release than Baahubali 2. Let the countdown for the release for 2.0 begin! 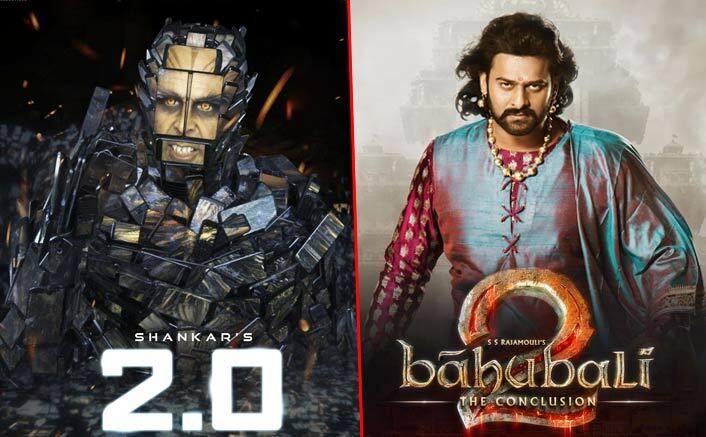 The post 20,000 Shows, 4000 Screens: 2.0 Set To Get A Wider Release Than Baahubali 2 In The Hindi Belt, Courtesy Akshay Kumar appeared first on Koimoi.